Drew Atlas joins Gummi to deliver the official warm-up mix for the 2nd instalment of the 'Riddim City' series, happening Oct 8th 2017 at National on 8th in Calgary. 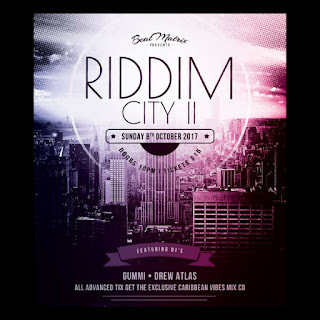 A full mix of the hottest Reggae, remixes and Caribbean inspired Jams! Enjoy! All advanced tickets get a copy of the mix on CD, but you can listen to the mix now here!